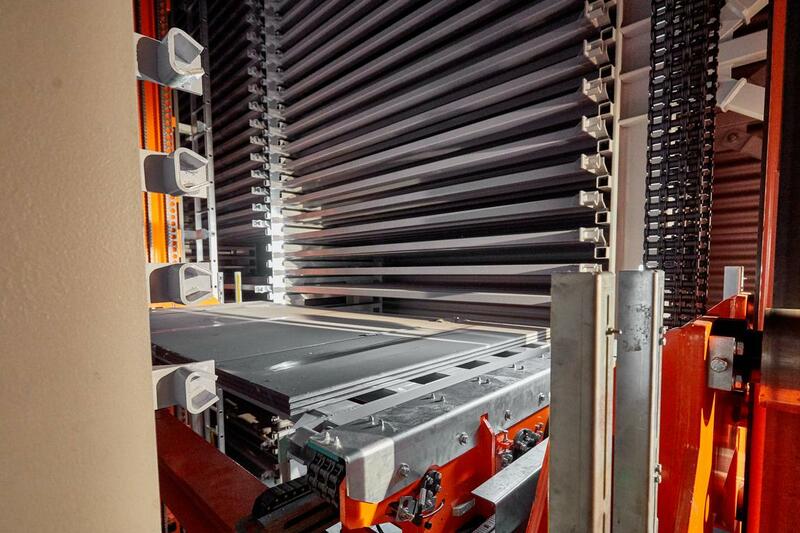 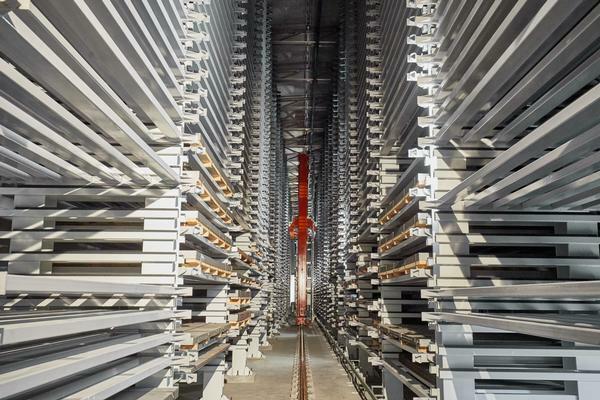 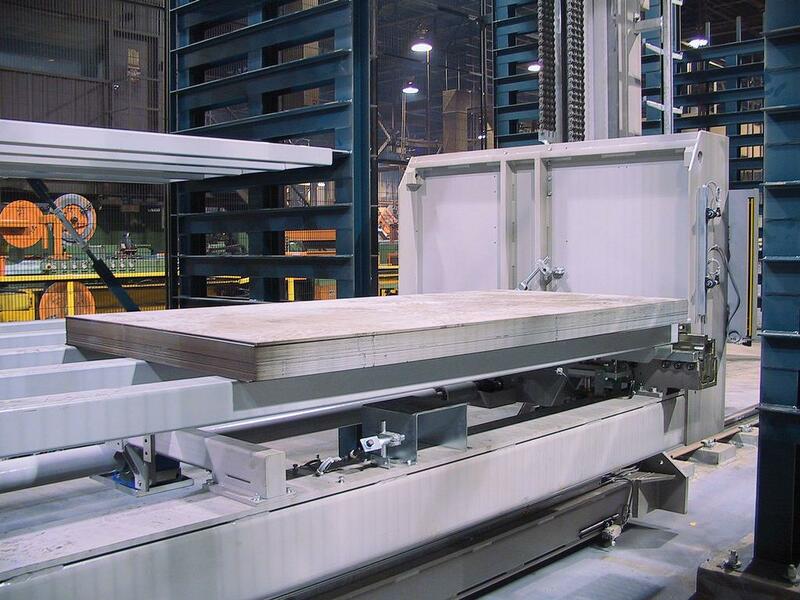 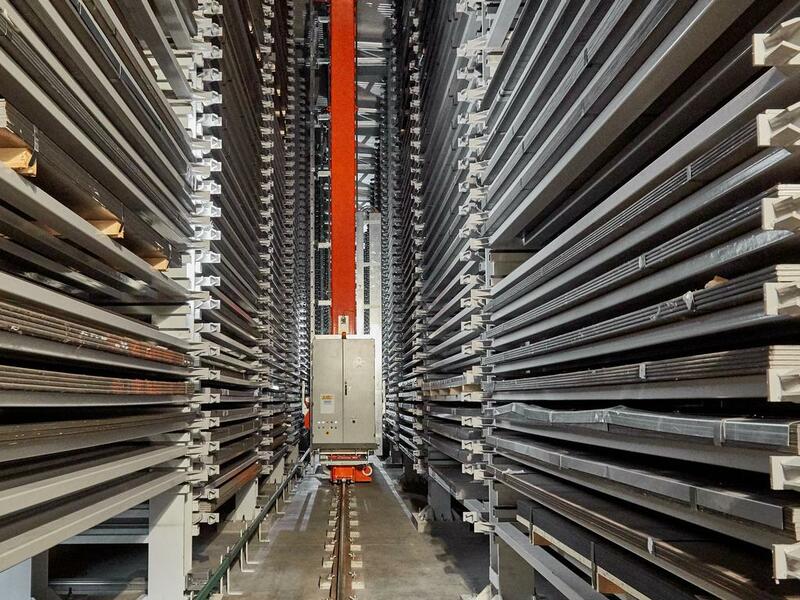 Automated storage and retrieval system with stacker crane for plates, metal sheets and slabs. 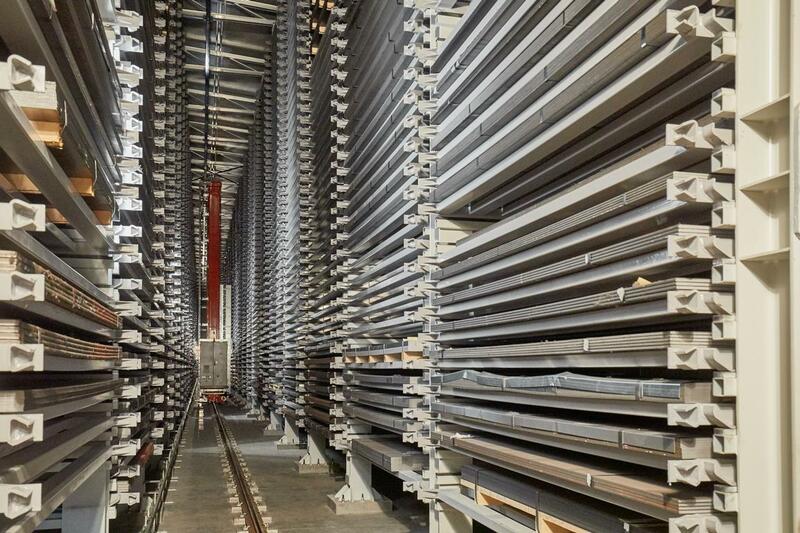 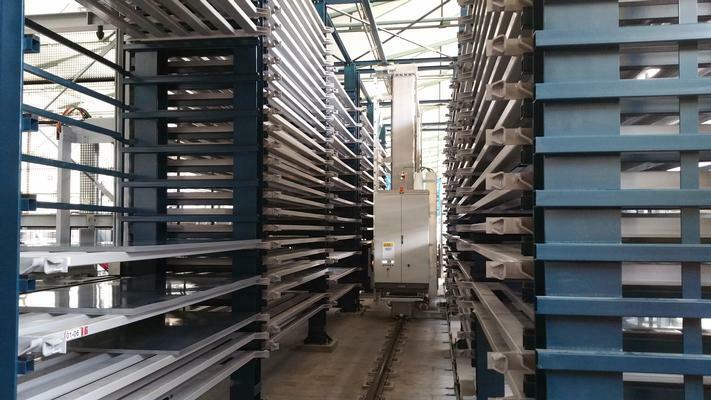 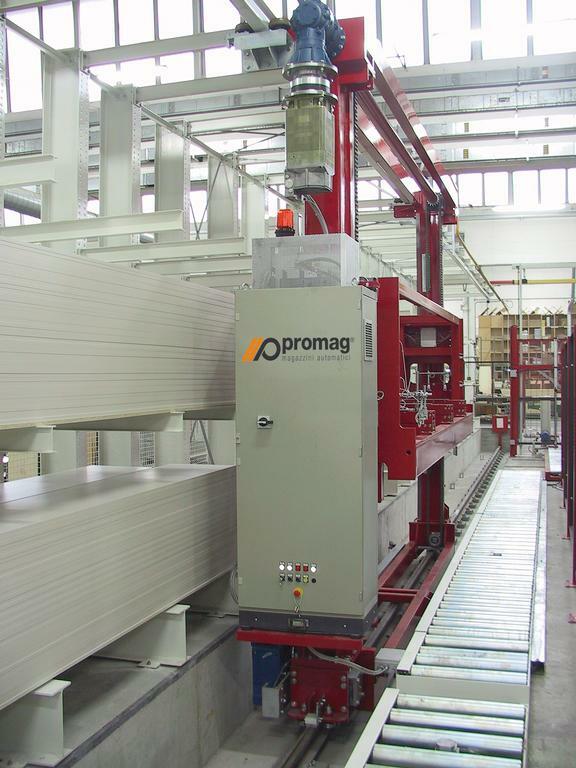 The automated storage systems for plates and metal sheets are systems in which the unit loads are handled by means of stacker cranes that slide on rails, with different configurations depending on the characteristics and intended use of the system. 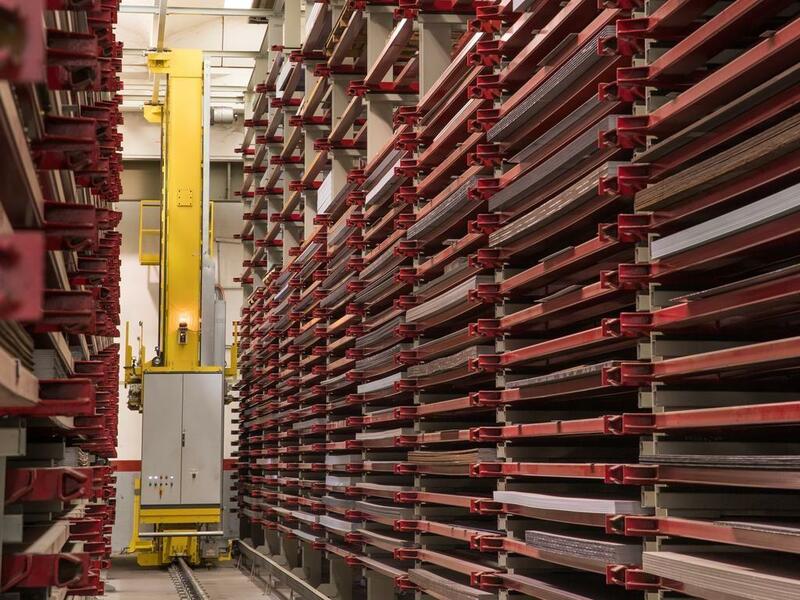 Specific trays are used to handle and store the materials. 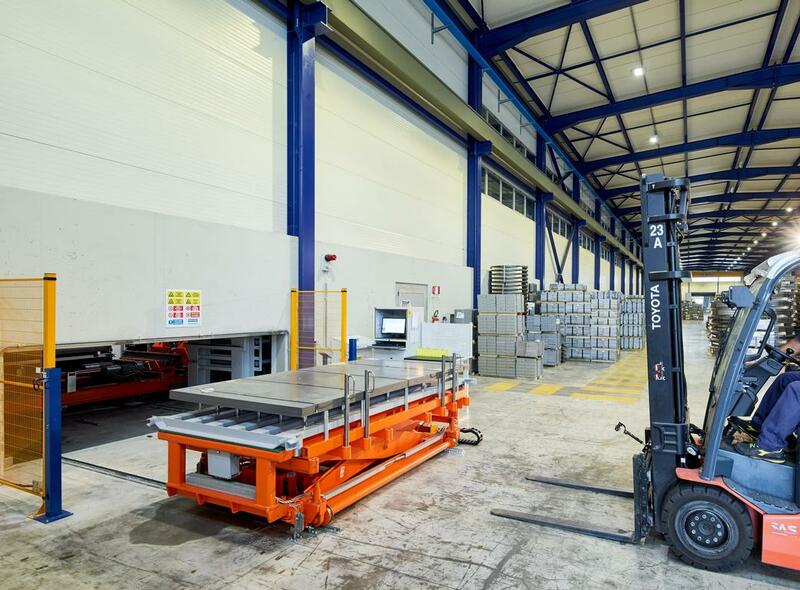 The stacker cranes are equipped with pick-up tools such as telescopic forks or dragging devices designed to pick-up or drop-off trays. Usually these systems are connected to sheet metal working areas adjacent to the storage system and can also be used to store semi-finished or finished products. To receive more info fill in the form.